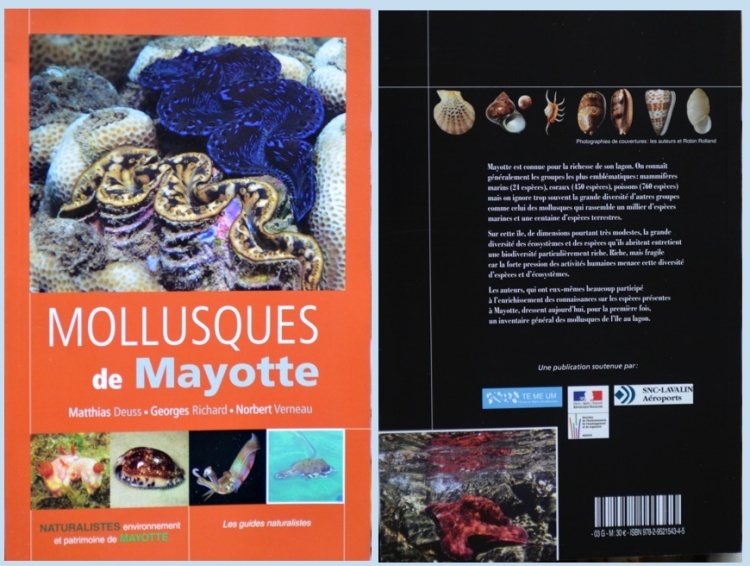 Many more informations may be found In the recent publication "MOLLUSQUES DE MAYOTTE"
(**) Conus convolutus G. B. Sowerby II, 1858 taxon have been chosen in the book but could be related also to Conus omaria Hwass in Bruguière, 1792 (and so Conus omaria f. convolutus). (1) Comment from John K Tucker : The specimen that you identify as C. sp. aff. sapphirostoma, looks like Pionoconus atimovatae Bozzetti, 2012. Described from Madagascar. Bozzetti's specimen is probably a juvenile P. achatinus. Yours could be an achatinus or even possibly a juvenile P. barthelemyi. I attach an image of the atimovatae holotype. The specimen in 21.4 mm long. Photo credit : Mr Bozzetti.